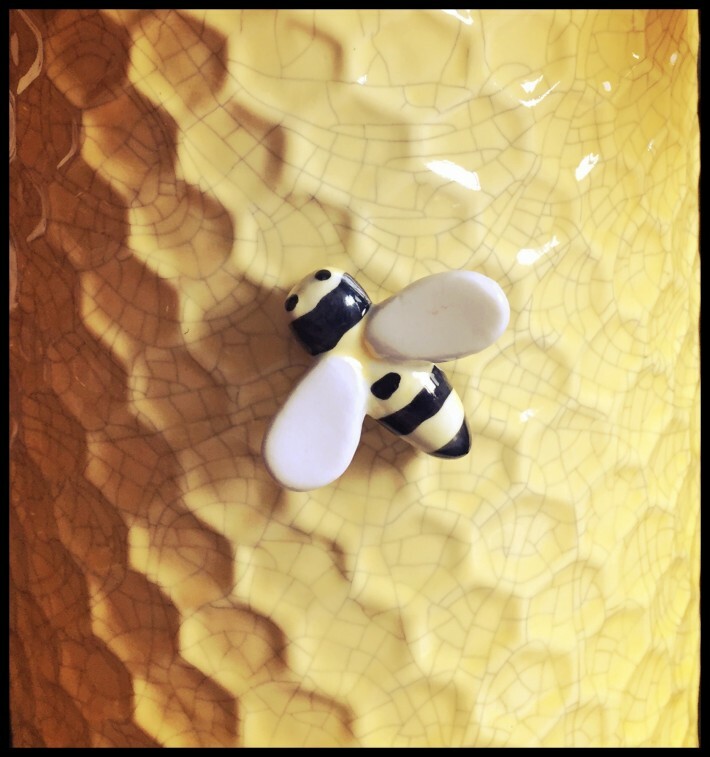 Since writing a bee post for Time Out, I have found myself becoming a little bit obsessed with bees. 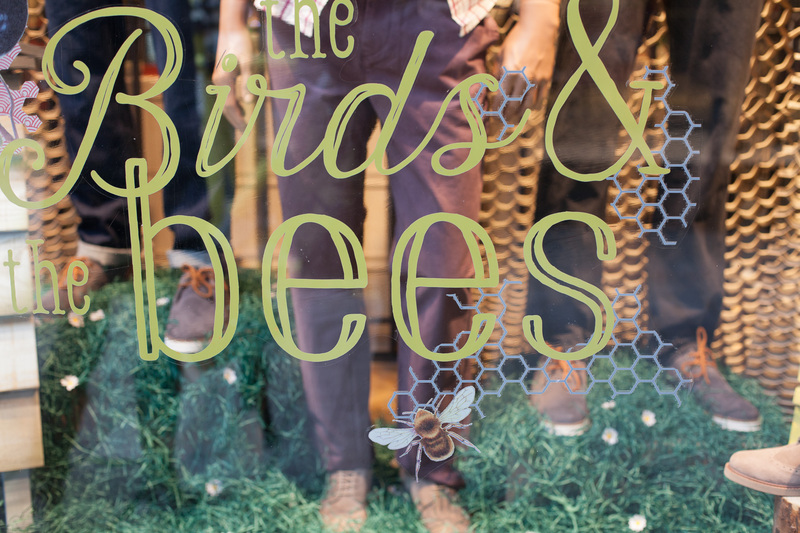 But it’s OK, I live in Manchester where the bee is the symbol of the city and has been since 1842. There are bees quite literally all over town, and once your eyes have been opened, it’s hard to miss them. 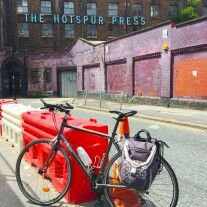 I wrote about many of the static bees in Manchester for my Time Out post so, I thought I’d take a look at some of the other places I’ve spotted bees. 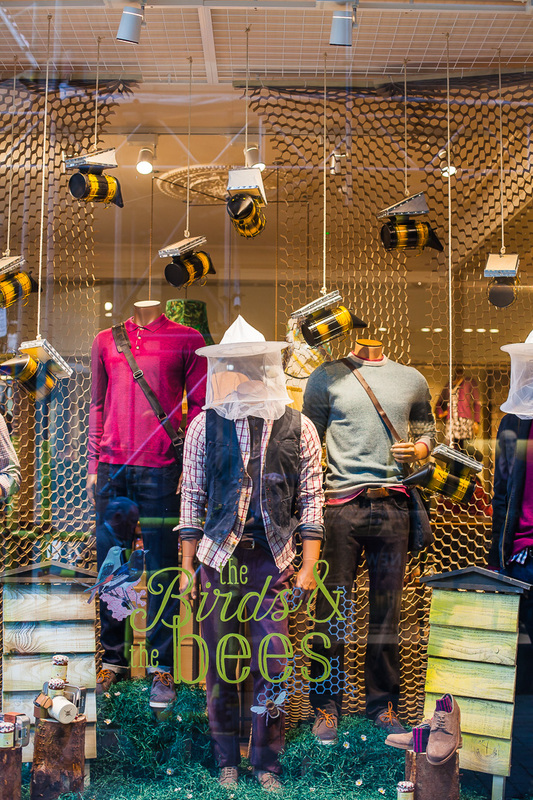 I expect the window display has changed since this photo was taken, but it caught my eye during my bee hunt in the city. 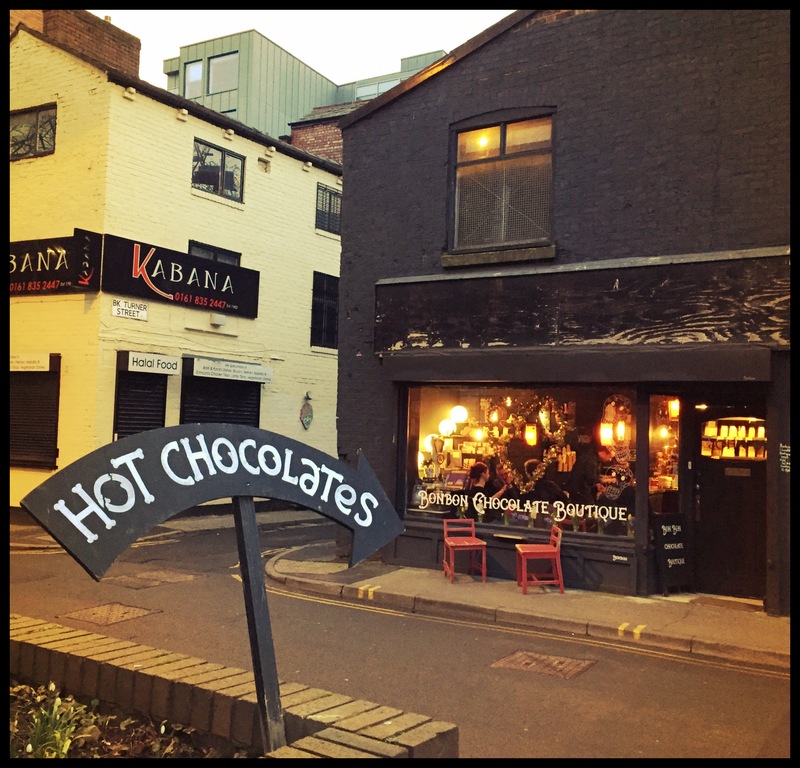 The pom pom bees buzzing round the door when we slowed down for a delicious hot chocolate, drew my attention to the existence of the Manchester Bee Parade. 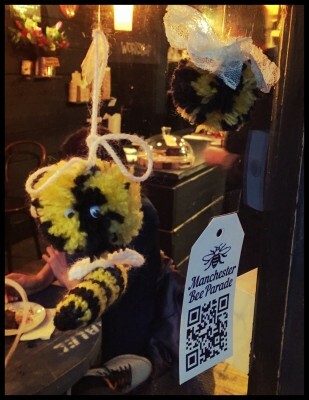 The October 2014 event described itself as, “A Yarn Bomb celebrating Manchester’s Northern Quarter’s textile heritage and craft tradition.” Little woollen bees buzzed in to shop windows all over the Northern Quarter to generate community spirit amongst the crafters and businesses in the area. 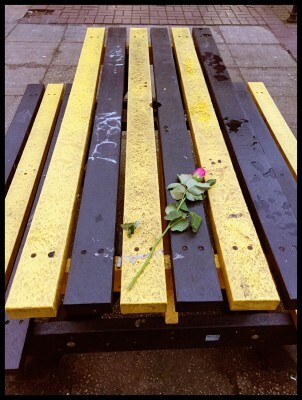 I’m sure the bee references were not lost on the painter of this picnic bench. It’s close to the multi-storey car park, where you may have spotted the bug houses. 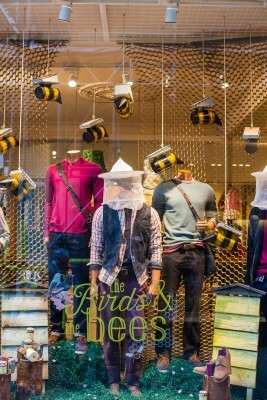 I guess the aim was to encourage bees to take up residence by making them feel at home. This wonderful company is all about the bee. 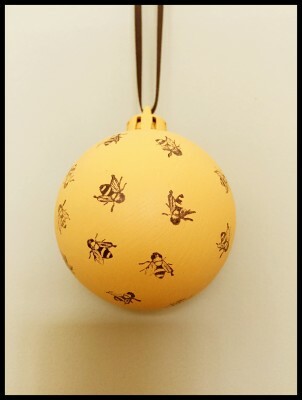 Their gorgeous Beebles featured in one of my Christmas blog posts and the large one will adorn my Christmas tree for years to come. This small one however, is looking for a long term resting place in my home – it’s too pretty to bring out only once a year. 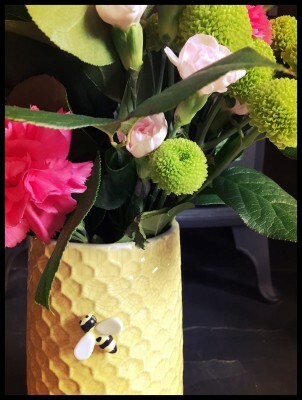 The new spring collection from George features a bright and bold range of bee paraphernalia. I couldn’t resist this honeycomb vase complete with a little buzzing bee. 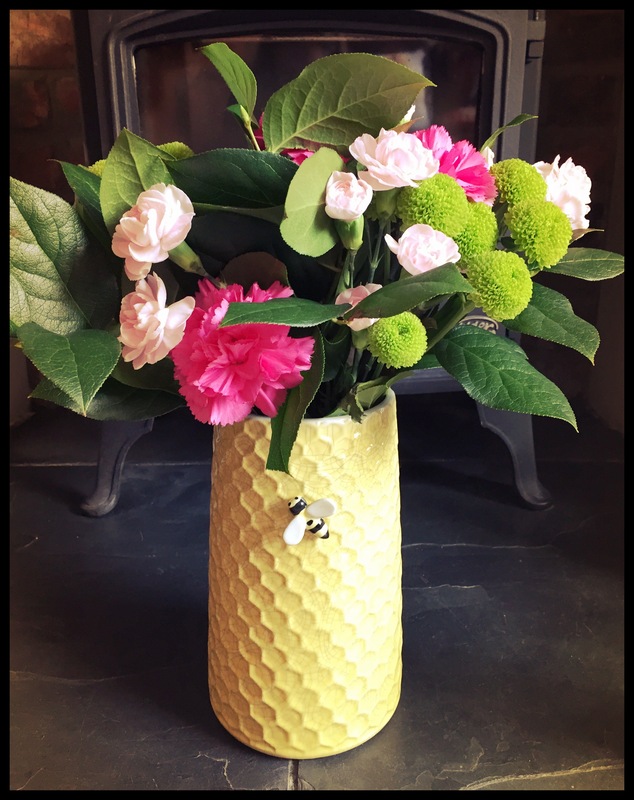 However, opinion is divided in my house; the boy says it’s hideous – but what does he know? Have you spotted a Manchester Bee? 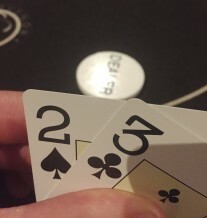 Let me know if you have. You can get 2% cashback on homeware purchases from George at Asda, using Quidco. And if you sign up using the links on my page, I’ll share half the referral fee with you. ← Have you ever ridden a Segway?